Offering catered events from 10-200 people. Ranging from an oyster shucking event to 200 person weddings we can build the event to match your needs and budget. 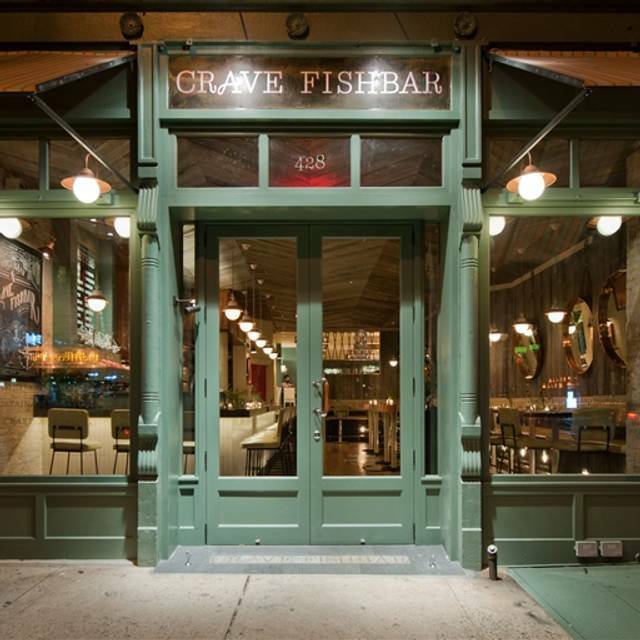 At Crave Fishbar, we source and serve locally caught seafood in a sophisticated yet fun environment. 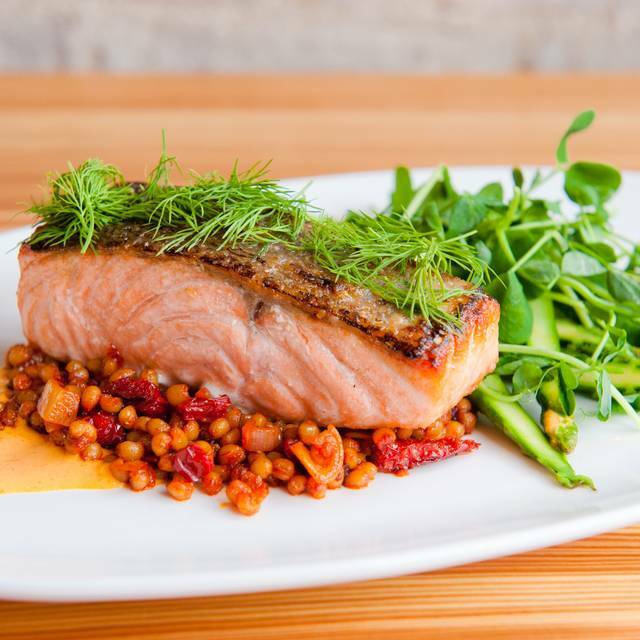 We are a sustainable, eco-conscious restaurant, using seasonal, organic when possible, ingredients that reflect our commitment to the environment and, especially, marine life. Our relationships with Long Island fishermen have been nurtured and supported through our sister restaurant, South Edison, in Montauk, NY and we were the first NYC partner with the Monterey Bay Aquarium, a national leader in ocean sustainability and charter members of the James Beard Foundation's Smart Catch Program.We are the home of #oystergram happy hour where we offer $1 oysters along with a selection of 16-18 bivavles from east and west coast from 5-7 weekdays and 4-6pm on weekends. Seasonal Craft cocktails and local beers along with wines on tap lend to the festive yet curated beverage experience. Join us at our Midtown East or Upper West locations for Mother's Day Brunch! Our special 3 course prix fixe menu includes favorites from the brunch menu along with Mother's Day specials. $40 per person. We have plenty of kid-friendly options on our children's menu, too! Very good choice for raw bar on the upper west side. Although, I would not say that the snow crab legs are a good value. On the other hand, the west coast oysters, during happy hour, are an excellent value. 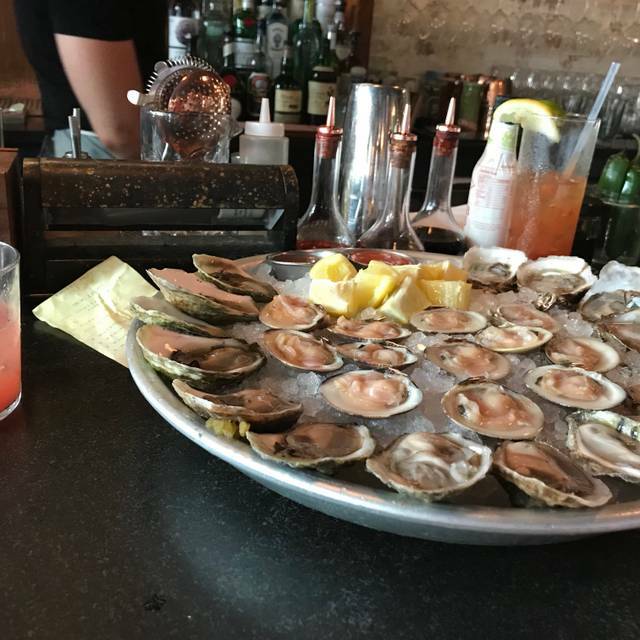 Happy hour oysters are EVERYTHING!! We have returned here, time and time again and have never been less than very happy. Outstanding service. Tasty OYSTERS!!!! Quality cocktails. Good food though my tuna was not so special. The lobster curry and other fish ordered by our party were very good. But KUSSI oysters are fabulous as all westerners know. 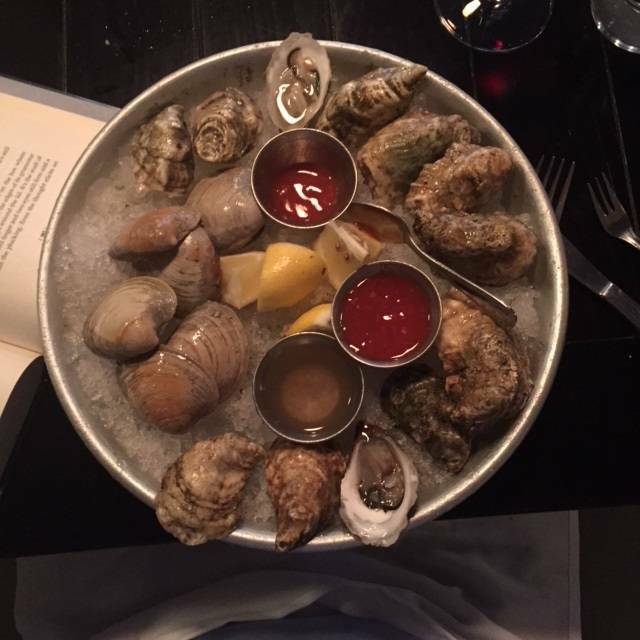 And they had a lot of them as we had 2 dozen during oyster happy hour!!!! 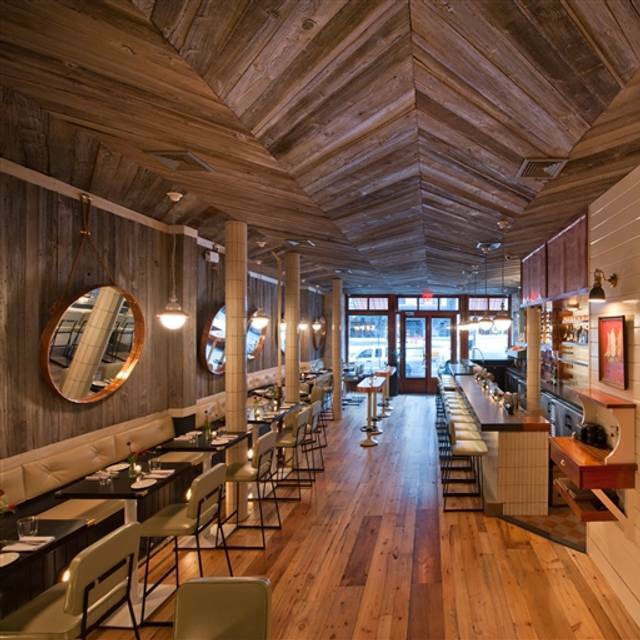 If nothing else, GO for the happy hour and feast on fresh oysters. Great hidden gem on the UWS. When I can get away and dine during their ‘happy hour’ from 5-7 weekdays or 4-6 on weekends, I’m never disappointed. 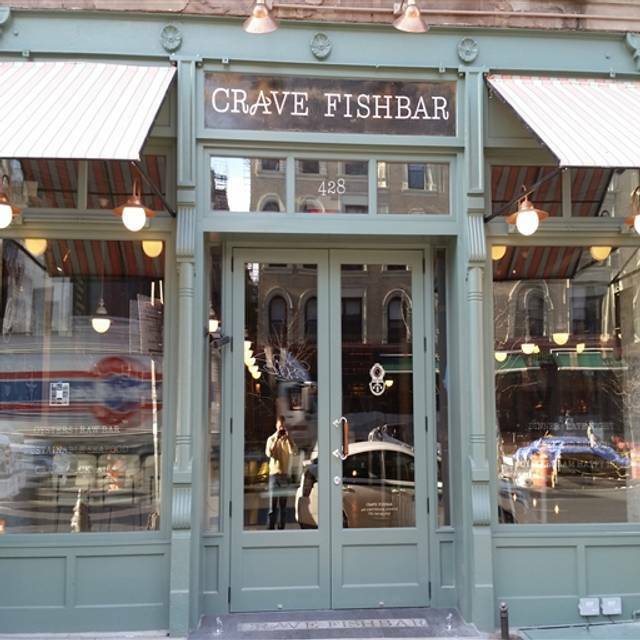 Unlike other restaurants whose happy hour oysters are of the restaurant’s choice, Crave Fish Bar allows you to chose from their entire selection of oysters at happy hour prices. That’s a gift! Friendly wait staff- excellent seafood and comfortable ambiance. It’s really happy hour- not unhappy hour! Crave is a favorite of ours! We were excited to eat outside and enjoy the nice weather. We love this restaurant and have been there many times. This past Saturday for the first time the service was not good. When we asked the waitress why our appetizers didn't arrive at the same time she responded dismissively that this is the way we do it here. When we told her that we've been here before and that hasn't been the case she basically blew us off. A simple apology would have gone a long way. In fact our guests responded, "I guess we weren't going to win that argument with her!" This was our first time at this restaurant and overall we enjoyed it. We went to the Upper West location. The food was great with interesting approaches to dishes. The calamari, grilled octopus and shrimp cocktail were fantastic appetizers. For entree's we had the squid ink pasta, salmon, tuna and the incredible lobster curry. Interesting cocktail menu, nice location and interior with just enough noise but not so much you couldn't have a conversation. The service was the only let down, really disappointing. We had an app come out 15 mins after the others, and a side dish that was delivered about halfway through the entrees. Mistakes happen but our server seemed to care less and initially had a hard time providing us descriptions of some of the dishes or wine selections. At this price point I expect a little more. Would I go back again, absolutely, the food was great and that lobster curry dish was a bowl full of spicy greatness. The bartender was friendly and attentive. The food was fresh and full of flavor. The cauliflower soup was out of this world and the Bloody Mary was the best mix of spice without over powering! 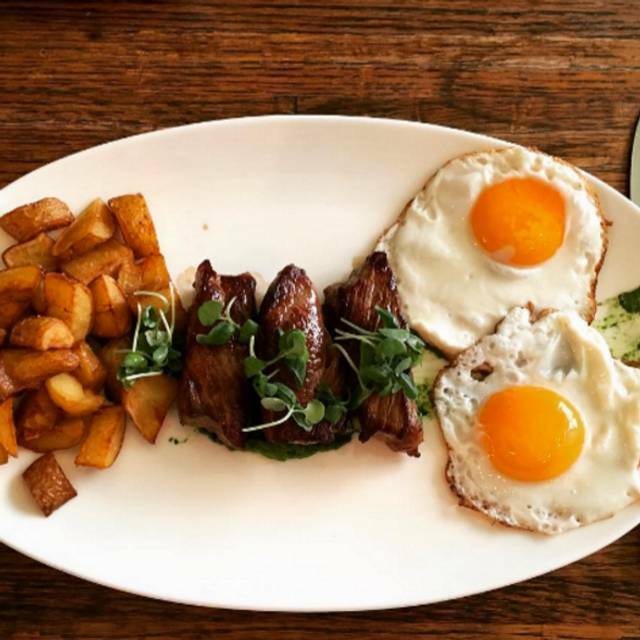 Definitely a place to put on your brunch bucket list! Great happy hour!!! Great service. Loud venue. Brussels sprouts are fantastic. Happy hour oysters is a very good deal. Used to better when oysters were $1.00 each, but $1.50 each is still quite good. Consistently delicious. Great menu. Love! Nice atmosphere and good service. Food was just ok. Pricey for mediocre food. This was my second visit and after having a similar experience, I won’t rush back for dinner. Would consider visiting for happy hour. Salmon Sashimi Tostadas and Calamari appetizers were excellent! Great food and lovely staff. We really enjoyed the happy hour and our servers were very efficient and friendly. I put Special occasion as it’s really special. The food is as good as you can get in NYC. Hands down special, nothing to dispute. Delicious, clean, creative yet simple, every bite is wonderful. Pricey but totally worth it. DH and I often share apps and entree here. My only hesitation is that since I go around once every two weeks can I still say it’s for a special occasion? Great food for a night out with friends. Seven of us —-some family, some new friends—-shared a fabulous meal which we all enjoyed tremendously and where we could actually hear one another in spite of being in a happy, lively room. Went for brunch with our kids. Food and service were both very good for us and the kids. My husband and I live close and this was the first time having brunch at Crave Fishbar. The food was delicious and the service was great! Also had a great brunch deal! I would reccommwbd this place to my friends. It was casual and had a nice setting. We will be coming back soon! To be fair I only had two appys when I was there. The Salmon Tosada tried to be too many things and the chilli oil was laddled on and over powering. The Fish taco "fish" was moist and good tasting but again too mcuh cabbage and not enough sauce made it sort of tasteless. The cocktail was very good and the place is cute. The staff is friendly and warm but seemed a little consfused at times. 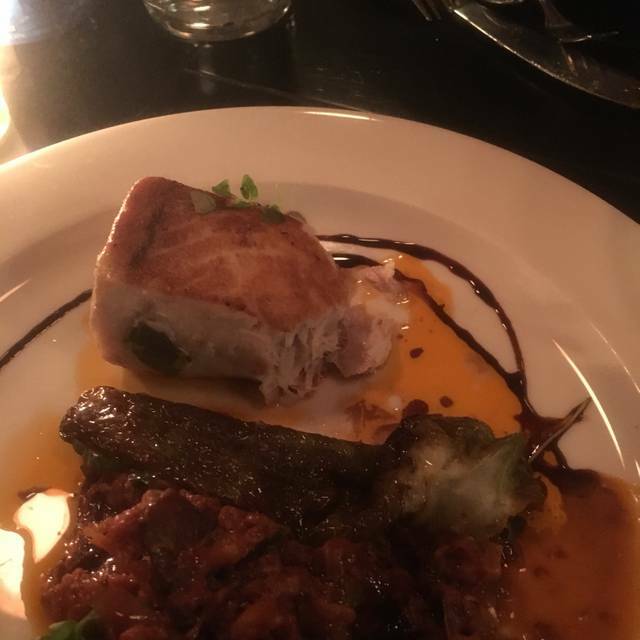 I would go back and try a fish main as I think that is most likely where their talents lie because the fish in both dishes were the best part. Great oysters. Rest of happy hour foodoptions are mediocre. Avoid the sea bass sashimi. The staff are very welcoming and the service is great. We enjoyed the tacos very much but thought the Branzino was a bit of a mess for $36. It should really have come filleted for that price. We just didn’t want to fight for our food to that extent. That said, it was tasty and the kale on the side was nicely prepared. First time visiting this restaurant, but won't be my last. 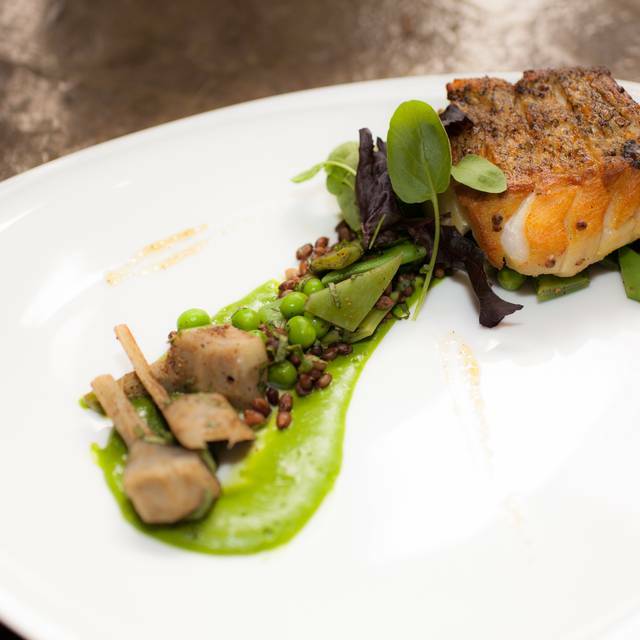 Good fish prepared in interesting ways. Nice service. Space is a bit crowded and noisy but nice energy. . The food is always great. But the service has been consistently bad the last 4 times I’ve been here - at both the UES and the UWS locations. Crave is such a delicious spot. I had the salmon tostadas and the kale dinosaur salad, both of which were excellent. It's a little pricey, but definitely worth it. The service is also great - I'm on crutches right now and they seated me at a very convenient table in a corner so I would be as comfortable as possible. Highly recommend! Satisfying in every way, except perhaps a little too noisy. Wonderful food, friendly, expert service. Had the calamari and also salmon. Definitely our new favorite seafood place on UWS. Excellent craft cocktails, extensive wine list, reliable raw bar offerings, impeccable fish entrees, and creative desserts. What more can you ask for?! excellent food and service. Get a table away from the door if you "crave" some quiet. Our first time here. We love this place! Food preparation and presentation where top notch and interesting, our server was extremely well-informed, and cocktails are also excellent.